NASHVILLE, TN (March 12, 2013) – Established Nashville based music businesses Century Music Group (CMG) and The Rukkus Room Recording Studios have joined forces to create a new Nashville based record label with music publishing and artist management divisions. Art Ward of CMG and Jamie Tate of The Rukkus Room co-founded the venture at the beginning of 2013. The label will retain the Century Music Group name and share office space at The Rukkus Room studios located in the Berry Hill area of Nashville. While The Rukkus Room remains one of Nashville’s busiest studios, Tate wanted to step beyond his typical role as a mix engineer and producer. “I work with such talented people every day at the studio, but so many of them were going unheard and unnoticed. We want to give those artists the exposure they deserve,” says Tate. The label has signed it’s first two artists, Nashville veteran singer-songwriter Steff Mahan and Ohio native, singer-songwriter Matt Marinchick. Pre-production has already begun for both artist’s albums, due out mid-2013. Mahan’s entertaining and often introspective Americana mix of rock, roots, folk and country has generated three albums, two Nashville publishing deals and several international songwriting awards. Mahan performs approximately 200 dates a year across the country from large venues to small intimate house concerts. Marinchick’s style of Country music pulls from the roots of the traditional and blends with the energy of the modern. Marinchick moved to Nashville in the summer of 2011 to pursue a Country music career. Upon arrival, he lined up gigs at prominent venues across the region and co-writing sessions with some of Nashville’s most prolific songwriters. The new partnership between Ward and Tate was an easy choice and one based on familiarity and a desire to continue to move forward in their careers. The two met while attending Middle Tennessee State University (MTSU) as part of the Recording Industry Management program in 1990 where they became fast friends and collaborated on many school related projects. 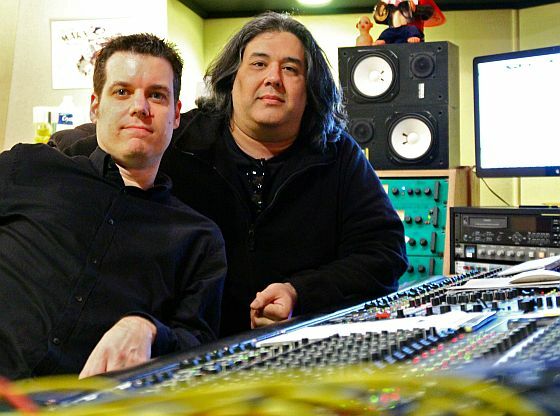 A Grammy and Emmy award-winning recording engineer, mixer and producer, Jamie Tate began his engineering/producing career working at several Nashville studios and eventually opened The Rukkus Room in 2004, a multi-room recording and mixing facility in Nashville. He has worked on a number of popular recordings including dozens of hit records and chart topping songs, making him a highly sought-after mixing engineer and producer. His credits include working with such artists as Taylor Swift, Alan Jackson, Justin Moore, Marty Stuart, Billy Bob Thornton and Brooks & Dunn and labels including Big Machine Records, Universal Records and Sony Records. Tate is also an accomplished musician, playing drums on several recordings that he has produced over the years. Art Ward has worked both on the creative and business sides of the industry. He has worked on the major and independent label level in Nashville, as well as various other positions in publishing, management, booking, promotions and radio. Ward studied music (Jazz) at Indiana University, Bloomington before transferring to MTSU. He kept his creative skills intact by producing hundreds of projects in Nashville for various artists and playing bass as a Nashville session player and live performer. “I have always had that dual mentality thing going on where I could always cross the lines between business and creativity,” says Ward. The commonalities that Ward and Tate share creatively means the two will mutually agree on every artist the label signs, they will co-produce all CMG releases for the foreseeable future and be directly involved in the creation of video and multimedia content. Ward and Tate bring experience and know-how that separates CMG from other non-major labels. Tate’s ability to craft world-class recordings coupled with Ward’s extensive background in marketing, promotions and publicity is truly unique for a label of this size and is of major label quality. CMG does intend on utilizing traditional radio and print campaigns, but will also explore newer, more creative and unique ways than typically associated with promoting artists today. At a time when the music industry is reinventing itself, Ward and Tate have found a mutual passion for creativity and a desire for excellence. Their combined career experience and vast industry knowledge has yielded the inspiration and confidence to steer CMG in a new and rewarding direction.